Medical grade polymers are quickly becoming the preferred material for a broad range of surgical devices. In certain applications, the robust mechanical properties of medical molding polymers allow complete removal of metal from the surgical device design. In other instances, plastic and metal components can combine to create an enhanced product, with attributes that would not be possible in either an all-metal or an all-plastic device. New medical polymers, including filled polymers, possess mechanical properties approaching those of conventional metals. In many applications, polymer resins are a direct substitute for metal: delivering similar device performance while significantly reducing device weight. Lower weights can play a significant role in the operating room by helping to reduce surgeon fatigue during long procedures. Injection molding processes give the designer far greater freedom in designing a plastic part than is possible with metal parts. Injection molded parts can incorporate features such as living-hinges or molded handles in a single injection step—an otherwise costly, multi-step assembly with metal parts. Painting surgical instruments is not practical and constrains colorization to that of the base metal. Injection molded devices, on the other hand, allows for pigmentation directly within the plastic, or even natural transparency in some instances. This opens the door to some unique possibilities: medical instruments and devices can be color-coded for easy identification or, in the case of transparent polymers, surgeons can look through the instrument for improved visibility during procedures. Producing instruments with an injection molding process can significantly reduce the part cost. 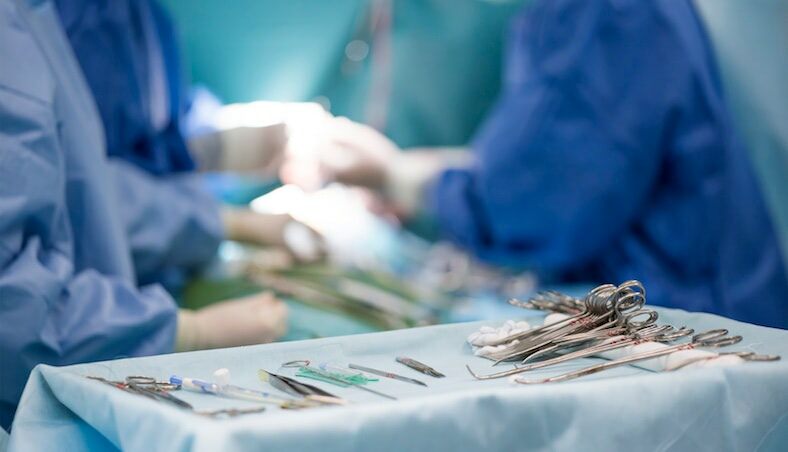 In some instances, the lower part cost actually creates a scenario wherein the surgical instrument can be disposed of rather than sterilized and reused, minimizing the risk of infection and device prep time. The magnetic properties of most metals preclude them from use near strong magnetic fields, as found in MRI environments. Plastics are immune to these magnetic fields, and injection molded devices present no safety hazards when used near or in conjunction with MRI machines. The decision to use the injection molding process is not a metal vs. plastic decision. In some cases, a metal instrument can be made better, or cheaper, by combining metal and plastic. Plastic overmolding is one such example. With overmolding, a polymer coating is molded over a portion of metal to impart specific attributes, such as improved grip and control, while maintaining the strength and impact resistance of the base metal tool. Or, plastic can be used to replace a complex portion of a device since certain features are expensive to machine out of metal. Injection molding is well suited to producing complex geometries, while metal may be a better option for handles or device components that need to transmit large forces. At Kaysun our team of expert designers and molders help you align polymer resins with the needs of medical applications to optimize your results. Learn more in The Complete Guide to Medical Device Resin Selection. Click the button below to download your free copy!